Especially in military operations, it's impossible to eliminate risk, but it can be minimized. Many of their risk-management techniques can apply to your flying. This article was first published in the December 2011 issue of Aviation Safety and at www.avweb.com, and is cross-posted here with permission. No matter what we do in an aircraft, we cannot eliminate risk entirely. Instead, we can manage that risk and take positive steps to mitigate or reduce it; in rare cases, we may even be able to eliminate it. An example of the latter might be canceling a trip for poor weather, or because of a mechanical issue. But we should be mostly concerned with mitigating and reducing the risks our flying poses. Of course, there are many ways to accomplish these goals. I believe most of us in general aviation have sat through a presentation or seminar discussing risk management. While serving in the U.S. Marine Corps, I sat through those classes as well as taught them, and I always came away with the same question, "How will this reduce the mishap rate?" Given the resources available, along with the missions, the military's way of managing risk can't be implemented by the average GA pilot. But it's worthwhile to examine the military's risk-management process. Using it as a template, then taking some simple steps and applying its techniques over time, on our own, can help reduce the GA mishap rate, before someone does it for us. At least in peacetime, the pilots and aircrew of a military flight squadron generally know when they're going to be flying and work their schedules around those demands. When personal life intervenes, they submit a request to be taken off the flight schedule, but with the full understanding it might not be granted. In the GA world, we usually schedule our flying to stay clear of major life events, but that's not always possible, especially when actively using an aircraft for personal or business transportation. If you're involved with a busy Part 135 operation, FBO or flight school, you likely know ahead of time when demand will be greatest. Having available an extra instructor or two, or another standby flight crew, helps spread out the workload and ensure everyone operates as efficiently as possible. Military units are all about pairing the juniors with the seniors because, one day, the junior crew member will be senior. More experienced pilots/aircrew are paired with the less experienced to teach and mentor. Every flight is treated as a learning opportunity for all involved. 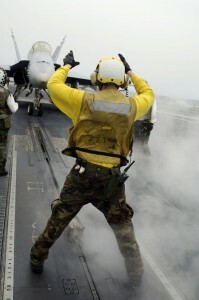 On the GA side, does your Part 135 or FBO do this? Although taking along a more-experienced safety pilot might not be practical for many personal flights, it's definitely something to consider if you're a freshly minted private or instrument-rated pilot, or if you're flying new-to-you equipment. Ensuring we're fit to fly is another area in which the military's vast resources are brought to bear but are difficult for the GA pilot to replicate. The military method ensures lots of intrusive flight physicals and constant monitoring. But much of that is impractical in the GA world. Yes, we get the appropriate medical certificate and keep it current, but between those visits to an AME, we're on our own. As discussed earlier, our personal lives often affect our schedules, but they also can have an adverse impact on our ability to keep our mind on the tasks at hand. It's hard to think clearly about this afternoon's flight home when contemplating a pending business deal, family upheavals or other personal stressors. Meanwhile, could you stand to lose a few pounds, lower that cholesterol a few points or drop that blood pressure a little? Doing so will not only help you feel better, but also will reduce your risk when flying. While serving in the Marines, I was quizzed each year on a written exam, orally quizzed in the preflight brief and quizzed further while flying the aircraft. Every year, once for a standards check flight and again for an instrument check. Squadron pilots all take monthly exams and get classroom training in systems, tactics and procedures. Overkill? Not when you consider the complicated, sometimes-classified systems the military deals with. Many GA operations, especially Part 135 crews, go through a similar testing process. For the rest of us, is a flight review every two years really enough? It can be, if backed by a comprehensive training plan. If you don't have an all-encompassing training plan, create one. Monthly, sit down to review a system or a few emergency procedures. Make a scheduled trip a learning experience by taking along a safety pilot or CFI. Shoot a complicated approach in VFR for practice. Discuss diverts or the ever-favorite topic of weather. I don't believe a Cessna driver should be required to complete the same level of review and training required of military crews, but I think we all need more than an every-two-year check on our knowledge and skill. Develop a plan that works for you, which might include the local FBO's or pre-solo quiz for its students. For Part 135, pick a system or emergency procedure and review it en route or in the preflight briefing. Also, AOPA offers very modern, up-to-date online courses covering a myriad of topics, all of which are tied to the FAA's Wings program. I recently earned enough credit to extend my BFR another two years and saved some money. Military pilots may spend days on a mission plan. At a minimum, they spend a few hours. Detailed weather, airspace, formations and other concerns are all briefed in great detail. I am not advocating the GA pilot expend this amount of effort, nor do I believe it is necessary. But we can take steps to build our situational awareness. Get an outlook briefing the night before to help shape your or the passengers' expectations. Study the airfields and airspace you'll be flying in. Check the dates on your publications. Are they current? 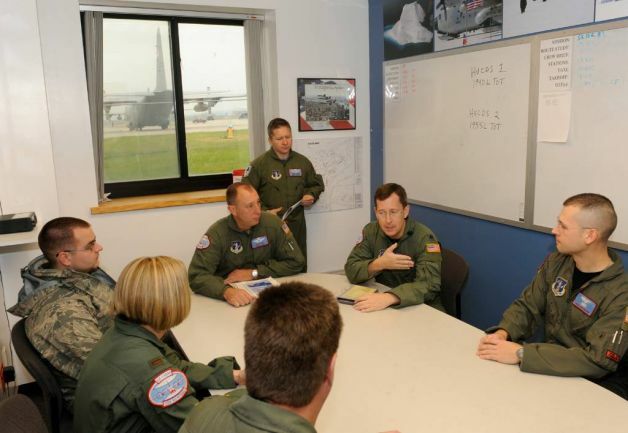 Going back to the military resources theme, every flight flown by a squadron gets attention from the Operations Duty Officer, who gathers, sorts and briefs weather, Notams and other flight-planning data. Of course, the GA pilot is required to do this as well, but can often face an overwhelming amount of data. Modern automation—including Duats, various other online resources, tablet computing and appropriate software—is making the task more user-friendly but much of this "help" isn't fully baked yet. Often, a call to Flight Service is still necessary, if for no other reason than to verify TFR status. I personally have every ASOS, AWOS and ATIS on speed dial for every airport near me. This makes my flight planning a lot simpler and more self-contained. That might be overkill for some pilots, but when your iPad can't get on the Internet from some dark ramp, you'll still be good to go. 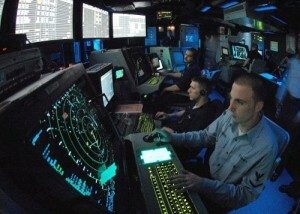 Marine Corps aviators at most bases get a mandatory visit from the base's air traffic controllers when they do their annual instrument ground school. In the GA world, we can invite the local controllers to our FBO, flying club or the next fly-in. Offer them food and a chance to talk and I am sure they will jump at it. While they are visiting, ask them how you can help them or where their friction points are. Working well with controllers is about building a trusting relationship. It can start from the moment you check in on the frequency, correctly or incorrectly. Try building some of that relationship while you are on the ground sharing a beer with them. It will go a long way. Another point is to do the same with the weather folks. If you still have an active FSS in your area, get to know them as well. If you don't, call up WX Brief and ask them if they have a spare 10 minutes to review local weather patterns in your flying area or review the basics of fronts, high and low pressure characteristics, or review a weather synopsis with you. Prior to every single flight, a USMC aviator will complete an operational risk management (ORM) worksheet. Over the years, I have seen this process develop from a simple question-and-answer format to a very complicated spreadsheet with numeric values representing risk levels. The bottom line is to identify aspects of your upcoming flight that involve risk and take positive steps to mitigate it. On the civilian side of things, AOPA's Air Safety Institute offers a very similar online risk assessment tool. It's available at FilghtRisk. Another option is to just take five minutes and consider what you are doing, identify some of the inherent risks and mitigate them. For example, on a long cross-country flight, add an intermediate fuel stop. While you're on the ground, use the opportunity to hydrate yourself. If you are a student pilot, a Part 135 pilot, or a CFI spending time in a cockpit, you will sweat. Plus, the reduced humidity at altitude will dry you out. Losing so much liquid from your body has been demonstrated to impair a pilot's performance and decision making. You can fight dehydration by carrying some bottled water, of course, but you'll also likely increase the need to stop while en route. Set some personal minimums and stick to them. Remember: What is legal isn't always safe and prudent. As a rule, general aviation pilots don't fly the same missions or equipment as their counterparts in the military. They also don't have the highly refined support network back at the local airport, or a well-defined set of rules under which to operate. The average GA pilot can't use the same tools and resources employed by military operators, but he or she can use others, tailored to their needs, geographic area and equipment, with similar effectiveness and a favorable impact on managing risk. One of the chief differences is the military pilot has a lot of the risk-management tasks performed for him, or they are built into the system. By contrast, the average GA pilot has little to none of these checks and balances built into their everyday flying. Thus, it's up to each individual pilot to use the various tools available to them -- many of which we've outlined above -- to identify and mitigate the risks their flying impose. Although applying the military's risk-management protocols to the average GA operation is impractical, doing the small things, making them a habit and paying attention to the details will reduce your risk and assist in making GA safer and statistically more friendly to those in charge of budgets and rulemaking. Hugh Tillman is a former Marine Corps Squadron Commanding Officer with over 4300 hours in both multiengine turbine helicopters and airplanes. He holds FAA ATP, CFI-I, (airplane and helicopter) and MEI certificates, is a former Aviation Safety Officer and Weapons and Tactics Instructor. He can be contacted through HawaiiCFI.com.